글로벌 럭셔리 브랜드가 모여있는 서울 도산대로에 국내 단일 뷰티 브랜드 최대 규모의 설화수 플래그십 스토어를 공식 오픈했습니다. 설화수 플래그십 스토어의 디자인 컨셉은 '랜턴(Lantern)’입니다. 설화수 만의 identity를 건물에서 느낄 수 있도록 한 외관의 특징일 뿐만 아니라, 소비자가 브랜드의 철학을 담은 건축적인 공간을 경험(journey)함으로써 이곳을 떠날 때 오래도록 기억 속에 간직할 수 있도록 하였습니다(memory). 플래그십 스토어 프로젝트는 건축, 가구 디자인 등 다방면의 작업을 통해 세계적으로 인정받고 있는 건축 디자이너 듀오 네리앤후(Neri&Hu)와의 협업으로 이루어졌습니다. 건물 외부는 물론 지하, 지상을 포함한 총 6개의 층이 황금빛 브라스(brass) 구조물로 둘러싸여 각기 다른 테마가 담긴 층별 공간을 아우르며 과거, 현재, 미래로 이어지는 조화로운 미의 여정을 이어가는 느낌을 받을 수 있습니다. 또한 설화수의 꽃살무늬를 보다 현대적으로 해석하여 공간 안에 브랜드의 아이덴티티가 스며들도록 하였습니다. 또한 브랜드 헤리티지뿐만 아니라 브랜드 전 상품과 스파를 경험할 수 있습니다. 플래그십 특화 포장 서비스와 전용 상품을 통해 아시아의 미를 대표하는 홀리스틱 뷰티를 전하고자 합니다. 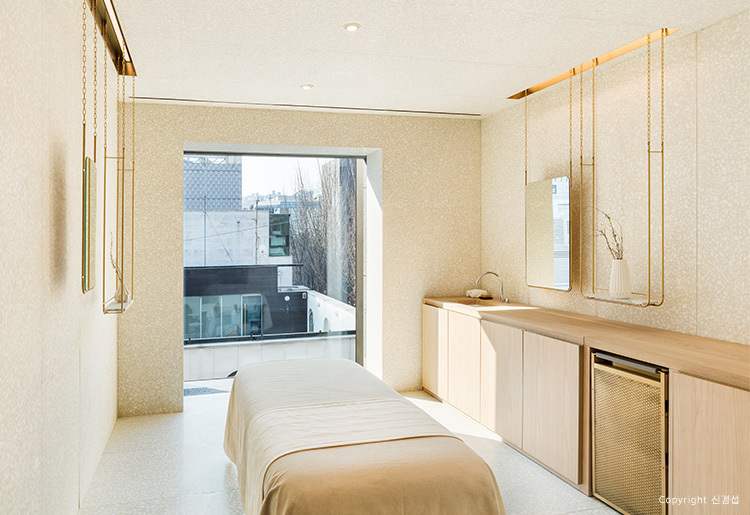 In Seoul’s Dosan-daero, where global luxury brands are clustered, the Sulwhasoo flagship store officially opened with the largest scale among domestic single-beauty brands. The design concept of the Sulwhasoo flagship store is “lantern.” This concept not only demonstrates the characteristic of the exterior of the building, which helps viewers feel the unique identity of Sulwhasoo, but also enables customers to remember for a long time as they journey in this architectural area that reflects the brand philosophy. The flagship store project was done in cooperation with architectural designer duo Neri&Hu, who are renowned for their various works including architectural and furniture designs. The exterior and six floors including underground and ground level are all surrounded by golden brass structures, and each floor displays different themes. One can feel the journey of harmonious beauty that is continued from past, present, and future. Furthermore, we analyzed the floral patterns of Sulwhasoo with a modern approach, reflecting the brand identity in the atmosphere. 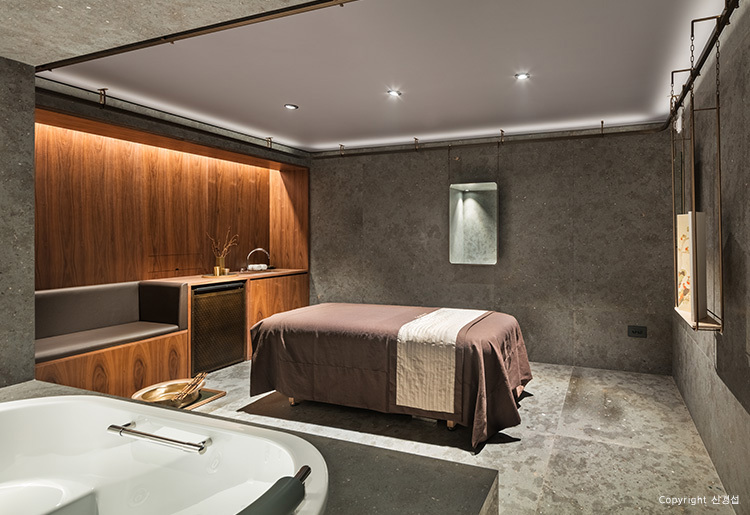 Customers can experience not only the brand heritage but also all of the brand’s products and spa. Through flagship-optimized packaging services and exclusive products, we aim to deliver holistic beauty representing the beauty of Asia.